Stella L. Owens-Murrell, Administrative Law Judge (ALJ), Office of Administrative Hearings (OAH), State of California, heard this matter on April 27, 2009 and June 1-4, 2009, in Laguna Hills, California. Student was represented at the hearing by his mother (Mother or Parent). Student’s maternal grandmother was present on April 27, 2009. Student was present on June 1-2, 2009, and in the afternoon of June 3, 2009. District was represented at the hearing by Deborah Ungar, Esq. Leisa Winston, District Program Specialist, was present for the entire hearing. Anna Selesky, District employee, was present on April 27, 2009 and June 1-3, 2009. Student filed a Due Process Hearing request (Complaint) on December 18, 2008. Continuances were granted for good cause on February 3, 2009 and April 10, 2009, and after the hearing had begun on April 27, 2009. 1) Whether Student’s allegations that relate to events prior to December 18, 2006 are barred by the statute of limitations. f) The Transition Plan in Student’s IEP was inadequately written, and the services and supports in Student’s IEP were inadequate to support Student’s goal of college attendance. 1 On the last day of hearing the ALJ ordered the parties to file and serve their closing briefs by close of business, June 25, 2009. Student filed his closing brief at 1:47 p.m. and District filed its closing brief with OAH on June 25, 2009, at 4:48 p.m. On June 25, 2009, Student filed a notice of untimely submission by District. Student’s letter is construed as a motion to strike District’s closing brief on grounds District did not timely serve the brief on Student. Student also asserts District failed to comply with the ALJ’s order limiting the closing brief to 15 pages. On June 29, 2009, District filed a response in which District denies untimely service on Student. District’s counsel, Debra Unger, asserts that her office served Student’s parent and representative by facsimile at 4:45 p.m. on June 25. The facsimile verification form filed with District’s response to Student’s motion establishes that District commenced serving the closing brief on Student prior to 5:00 p.m. but was prevented from completing the process until after 5 p.m. Ms. Unger further asserts that Student’s facsimile machine stopped receiving the documents at some point after the facsimile transmission successfully connected with parent’s facsimile number; as a result the transmission could not be completed until the facsimile line was clear and open. The documentation provided establishes that District substantially complied with the time requirement ordered by the ALJ and that Student received the brief on June 25, 2009. Student has not demonstrated he has been prejudiced by District’s failure to complete the service by 5:00 p.m. As to the page limit Student argues that District filed a 19-page closing brief in derogation of ALJ’s order on page limits. The District’s closing brief format contained 15 pages of points and authorities, excluding the cover page, and table of contents, etc. and complied with the ALJ’s order. The closing briefs were timely filed. Student’s motion is denied. 2 The issues in Student’s complaint have been revised in light of the conclusion in this Decision that issues arising prior to December 18, 2006 are barred by the statute of limitations. Student seeks an order requiring District to provide compensatory education services for delays in his post-secondary education and credit for classes he should have done better in while enrolled. Student also seeks money damages. 1. Student was a 21-year-old man at the time of the due process hearing. He lives with his parents in the jurisdictional boundaries of the District. 2. Student received special education services for an auditory processing disorder in various school districts between March 1991 and June 2001, before he transferred to District. He was subsequently determined eligible for special education services under the disability category of Specific Learning Disability (SLD) because of an auditory processing disorder3 resulting in a severe discrepancy between his ability and achievement in reading and written language. Specifically, Student has deficits in verbal comprehension, auditory short-term memory, auditory sequencing, and auditory discrimination. The deficits in auditory processing, working memory, and slow processing speed resulted in a need for assistance in oral reading, written language, organization, and completion of, and recording of assignments or note-taking. The parties do not dispute Student’s eligibility. 3. In an IEP dated June 10, 1999, prepared by the Morongo Unified School District, where Student attended the fifth grade, the IEP noted that he was due for his next triennial evaluation in June of 2001 during the 2000-2001 school year. Student’s records indicate that Student was attending middle school in the Desert Sands School District in the 2000-2001 school year. 4. Student’s family moved to District from the Desert Sands School District and enrolled Student in District on August 20, 2001, for the 2001-2002 school year. He attended Aliso Viejo Middle School in a regular education class with resource specialist program (RSP) support and speech and language designated instruction and services (DIS). He continued with the same program and services through the eighth grade. 5. District convened a high school transition meeting on May 2, 2003, when Student was fifteen years old. Mother attended and waived the reading of the procedural safeguards provided by District IEP administrator. The IEP identified Student’s needs in the areas of speech and language, writing, reading, continued Student’s goals and objectives from the prior years IEP, and offered placement at Aliso Niguel High School (ANHS) in general education classes with two periods of RSP for learning strategies in Algebra 1A and English that included a year-long reading improvement program. Speech and Language services were offered on a consult basis with staff once per week. The IEP offered to continue the supplemental services, accommodations, and program modifications previously provided Student which included extra time on tests, extra time for written projects, tests and quizzes, if necessary, and use of a calculator, as needed. Freshman year schedule options were discussed and finalized. 3 Generally auditory processing disorders pertain to an individual’s inability to properly use their sensory processing skills involving rate of process, association of sounds and symbols, auditory sequencing (the ability to recall in detail and in the correct order what one has heard) and auditory discrimination (the ability to distinguish among sounds). 6. Mother intended for Student to attend a four-year college after high school, and sought to design an academic curriculum consisting of college preparatory (college prep) classes. Mother requested that District include Integrated Science on Student’s fall class schedule. District team members advised against adding the class because Student required intensive instruction in the reading improvement program, which would later assist him in science classes. However, District added Integrated Science at Mother’s insistence. Mother consented to the IEP offer of program and services. 8. Student entered ANHS on August 27, 2003, in the ninth grade. His fall class schedule included: Integrated Science, Career Ed/MicroA, Reading Workshop, English I (P), Health, Algebra IB (P) and RSP. The “(P)” stood for college preparatory class (college prep.) Student immediately began to have difficulty performing in his college prep classes. 9. Judy Martinez (Ms. Martinez) was assigned as Student’s RSP teacher/case carrier in the ninth grade and at various times in the tenth and eleventh grades. As a case carrier, she was responsible for managing and overseeing the development and implementation of Student’s IEP. She convened an IEP meeting on October 7, 2003, to discuss District’s concerns about Student’s problems with his work assignments. Mother and Student attended the meeting. Katie Bennett (Ms. Bennett), Student’s English teacher, was also present. The IEP team discussed the concern that Student was currently failing Science and English. An addendum IEP was drafted which noted in Student’s present levels of performance that Student was currently having difficulty with organization, writing, spelling, and completing homework. The IEP annual goals and objectives were revised to add organization, spelling/vocabulary, written language, and work completion goals. Mother consented to the IEP revisions. 10. Based upon educational records provided to District, Student’s first triennial review IEP following his transfer to District was due in June 2004; however the triennial assessments commenced in December 2003 and concluded prior to June 2004. Martinez and Mother met on November 21, 2003, to discuss areas of suspected disability and Mother’s concerns that Student needed intensive instruction in learning vocabulary words. Based upon information provided by Mother and a review of records, Martinez prepared the assessment plan for Student’s triennial evaluation. District proposed to conduct a comprehensive psychoeducational evaluation in the areas of academic/pre-academic achievement; social/adaptive behavior; psycho-motor development; intellectual/cognitive development; and communication development or speech and language. A health assessment was also proposed for vision/hearing screening. Mother consented to the assessment plan on November 21, 2003. 11. Steve Gelsinger, Licensed Educational Psychologist (Mr. Gelsinger), District School Psychologist, administered the assessments on December 19, 2003 and January 4, 2004, and prepared a psychoeducational assessment report, which was undated. Student was sixteen at the time of the assessments The report noted the use of the following test instruments: (1) Wechsler Intelligence Scale for Children, Fourth Edition (WISC-IV); (2) The Developmental Test of Visual-Motor Integration (VMI); (3) The Woodcock Johnson Test of Academic Achievement (WJ-III); and the Behavior Assessment System for Children (BASC). 12. The WISC-IV is used to assess the intellectual ability of children from ages six to sixteen. The intelligence scale consists of several subtests, each measuring a different facet of intelligence. Some subtests are designed to measure perceptual skills, while others attempt to assess memory, abstract reasoning, or other skills. The child’s performance of these measures is summarized in a general measure of intellectual functioning and four index scores identified as the verbal comprehension index (VCI), perceptual reasoning index (PRI), working memory index (WMI), and the processing speed index (PSI). The VCI assesses a child’s verbal skills and abilities utilizing reasoning, comprehension, and conceptualization. The PRI assesses the ability to use perceptual reasoning and organization. Student received standard scores 98 on the VCI and 104 on the PRI, which fell in the average range. The WMI assesses the ability to maintain attention, concentration, and working memory. The PSI measures mental and graphomotor processing speed. Student received standard scores of 86 on the WMI and 78 on the PSI which fell within the low average and borderline range. Student had a full scale score of 90. The report noted that Student’s overall intellectual development falls within the average range when compared to students of the same age. Student was strong in his visual-perceptual and verbal reasoning skills and Student had deficits in his visual processing speed and working memory. 13. The VMI assesses a child’s ability to interpret, integrate, and replicate abstract designs and symbols. In this test, the child is required to copy a series of geometric designs of increasing difficulty. Student received a standard score of 91 and a rank in the 27th percentile, within the average range. 14. The WJ-III assesses the level of academic achievement. Student received high average standard scores in math calculation but received borderline and low standard scores in the areas of letter-word identification, reading fluency, written language and reading comprehension. The WJ-III scores indicated a discrepancy between academic achievement and cognitive ability in these academic areas. 15. The BASC assesses a child’s behavior and self-perception. Based upon Student’s self report he did not present with significant symptoms of anxiety, depression, or social problems. 16. In summary, the report noted that Student was functioning within the average range of intellectual development with academic deficits in reading and written language. However, the deficits in visual processing speed and auditory working memory had adversely affected Student’s educational performance. The assessment was appropriate. 17. Mary Ghan (Ms. Ghan), District Speech Pathologist, assessed Student in speech and language on December 16-17, 2003. Ms. Ghan, testified that auditory processing is the ability to process any incoming information thru the auditory channel so if there is a lot of distraction in the room it could interfere with an individual’s understanding or ability to process the information, and particularly, in a language-driven class like English or any class where the teacher lectures. 19. An IEP team meeting was convened on January 6, 2004 to review the triennial assessments. The IEP team members included Mother and Step Father, Mr. Gelsinger, Ms. Ghan, Katie Bennett (Ms. Bennett), Student’s English teacher, and Ms. Martinez. Mother waived the reading of the procedural safeguards and parent rights provided by the District IEP administrator. 20. The IEP team reviewed the assessment results and recommendations and identified Student’s present levels of performance as follows: 1. Student lacked the ability to remain organized, focused, and remember homework assignments. 2. Student had deficiencies in broad reading, reading fluency and letter word identification, 3. Student needed to develop communication and self-advocacy skills. The IEP noted that Student’s deficits in working memory and processing speed resulted in a need for assistance in organization and assignment completion. Accordingly, Student required specially trained personnel in the areas of written language and organization. The IEP team developed goals and objectives in the areas of study skills, reading, and vocabulary development. The IEP team (Martinez) also prepared an Individualized Transition Plan/Statement (ITP) which was required to address Student’s desired post-secondary school outcomes. Ms. Martinez worked individually with Student to complete the ITP. 21. Based on the assessment recommendations the IEP offered placement in the regular education classroom for six classes; resource specialist program for one period plus one period of collaboration in English, and regular physical education (PE) class. DIS services in the form of speech and language services consultation for 30 minutes per month with a speech pathologist or with a teacher. Student would spend fifteen percent of the school day in special education. Supplemental aids, services and program modifications were also detailed in the IEP. The IEP offered preferential seating in all classes, multimodality instruction, extra time for written assignments and tests, and provision of hard-copy notes for Student to copy. Mother did not consent to the IEP. 23. Mother and Student met with District personnel on May 13, 2004 to register Student for the tenth grade fall semester of the 2003-2004 school year. Ms. Martinez, with input from the general education teachers, offered Student courses in English, Social Sciences, Math, Science, Elective or Foreign Language, PE, Sports or Elective, and ROP. Because of Student’s difficulties in completing assignments and staying focused in class, District recommended Student take Personal Finance Math in lieu of Algebra or Geometry and Human Biology in lieu of Biology. Mother selected English II, World History/Geography/Cultures (World History), Geometry, and Biology, all of which were more rigorous college preparatory classes, and RSP Resource and PE. Mother signed a class waiver declining District’s recommendation to place Student in Human Biology and requested placement in Biology. 24. District had notified Mother that recommended placement in classes was based on factors including a student’s overall performance. Parents who disagreed with District’s recommended class schedules and wished to have their child take a non-recommended class were required to complete a class waiver form. Students who waived into a class had to remain in the class until the end of the semester. No level change or drop was permitted prior to the end of the semester. By signing the waiver a parent agreed that their child would remain in the class for the duration of the semester, despite the possibility of unsatisfactory grades. The parent was also required to arrange for tutoring if their child performed poorly in the class. 25. On September 22, 2004, District convened an IEP team meeting for the purpose of reviewing Student’s progress. This IEP meeting was an addendum to the January 6, 2004, triennial IEP. Team members in attendance included Student and Mother, Ms. Ghan and Ms. Martinez, and an IEP Administrator. Mother waived the reading of the procedural safeguards provided by the District IEP administrator. The IEP team discussed Student’s poor academic performance. The general education teacher’s comments noted in the IEP indicated that Student was failing English, Geometry, and Biology, because he was not completing and turning in his homework. Mother’s comments noted in the IEP acknowledged that Student needed to take responsibility for completing homework. The IEP team also discussed teacher reports of Student’s apathy and anger and his refusal to complete and turn in assignments. Mother requested District provide support services to Student in his college preparatory classes. Ms. Martinez agreed to request Student’s Geometry and Biology teachers make modifications to the course work. 26. The September 22, 2004, addendum IEP, offered an additional RSP class to give Students two periods of RSP- One class as a collaboration English class and one RSP class for additional support in Student’s college prep classes. 27. The September 22, 2004, IEP was continued to September 29, 2004 to further review Student’s academic performance, and to discuss appropriate modifications and supports for his college prep classes. The IEP team members in attendance at the meeting included Mother, Mr. Gelsinger, Student’s RSP teacher, and an Assistant Principal. Mother waived the reading of the procedural safeguards provided by the District IEP administrator. The District IEP team members expressed their belief that Student was not placed in the proper academic setting because Student was not able to complete his assignments in the academic classes. At that meeting, Mr. Gelsinger expressed his concern that college prep Biology and Geometry may be too difficult for Student. He recommended that Student “level down” and take a non-college prep science course for sophomore year because Student needed to build his general knowledge of science, which would enable Student to take college prep biology in the his junior year. Mr. Gelsinger further suggested that Student “level down” and take Algebra 2/Geometry as an alternative to Geometry because Student could still earn college credit and it provided a foundation for Geometry which he could take in his junior year as well. Mother rejected the IEP team’s recommendation because she wanted Student to take and pass classes required for admission to the University of California (UC) system or the California State University (CSU) system. 28. The IEP team agreed to provide a series of accommodations and modifications requested by Mother to support Student’s performance in English, Biology, Geometry, and World History. For example, in Biology, Geometry and World History, Student was not required to complete homework assignments, did not have to write complete sentences in any of his work and could bullet important points when other students were required to write complete sentences. On tests containing both multiple choice and essay answers Student wad not required to write the essay answers. Class assignments would be modified or not required, and the teacher would provide a set of notes to Student in lieu of his taking notes. Student would be graded only on the classroom tests, and the grade on his final semester report card was to be a modified grade. The final report card would bear a notation “graded with modified standards.” This notation informed others reviewing Student’s records that the class did not meet the requirements for admission to UC schools. 29. Of great concern to the IEP team were the modifications and accommodations implemented in the English class. The IEP noted that Student’s auditory processing disorder impacted his reading comprehension and written language abilities. Student’s weekly vocabulary tests were modified to allow him to take a pre-test that enabled him to memorize or retain the words, followed by an identical final test. Student was required to complete his in-class reading at home. He was required to complete modified homework assignments at home, not in class. The IEP offered an English tutorial each week where Student received extra help on his assignments, and his RSP class where Student received extra help. As a further accommodation all written assignments were graded on a modified basis. 30. On December 8, 2004, District convened the annual review IEP team meeting. Mother and Student attended. District team members included Ms. Ghan, Mr. Gelsinger, District’s Program Specialist, James Blinn (Mr. Blinn), a special education teacher, an Assistant Principal, Student’s Biology, English and World History teachers. Mother waived the reading of the procedural safeguards provided by the District IEP administrator. The IEP team discussed at length Student’s failure to complete work assignments, failure to work with his teachers, and lack of cooperation in general. The team members discussed further the concern that the Student was not at the level needed to pass the college prep classes at that time. The IEP noted that Student met his reading goals and continued to progress in his study skills, writing, self-advocacy, and work habit goals. Under present levels of performance the IEP noted that Student was still failing in two of his academic classes and Student needed to take responsibility for completing assignments to meet curriculum standards. The IEP team developed new goals in his areas of need. The placement and services remained the same. The IEP team discussed the assessments that were pending and agreed to meet following the assessment reports to determine whether a change was required in the IEP. Mother consented to the IEP. 31. An ITP was included with the IEP and reviewed at the IEP team meeting by RSP Martinez, Student and Mother. The ITP noted that Student’s desired post-secondary education goal was to attend college. The goals/activities included referred to the IEP goals in speech, reading, writing, study skills, and written language. The ITP noted Student needed no DIS and related services for transition and no agency linkages were identified. 32. Prior to the annual review IEP Ms. Martinez prepared an assessment plan that proposed to assess Student in academics, specifically in the areas of math and science achievement levels to help with curriculum placement options. The plan further proposed a complete auditory processing assessment-SCAN-A, to be conducted by an audiologist. Mother signed the assessment plan on December 8, 2004. The academic assessment was conducted by Ms. Martinez. It established that Student was on track for graduation credits and Student’s grades were improving in all but two of his college prep classes. District referred Student to audiologist Maria Abramson, an independent consultant. 33. At the time of the hearing Ms. Abramson had earned her Doctorate and was addressed as Dr. Abramson. Dr. Abramson testified at hearing as Student’s expert. Dr. Abramson received an undergraduate degree in Speech and Language Pathology, a masters degree in Speech Perception and Audiology and a Doctorate in Clinical Psychology. She is a member of various professional organizations related to her field and has a California licensed Audiologist and is licensed to dispense hearing aides. She has held a Certificate of Clinical Competence in Audiology since 1979. Dr. Abramson is a private practitioner and has worked as a consultant with various school districts, including District since approximately 1993. 34. Dr. Abramson testified that auditory processing is defined by three professions – psychologists, speech pathologists, and audiologists. She further testified that according to the American Speech and Hearing Associates (ASHA), a professional organization of speech and hearing specialists, only audiologists can diagnose auditory processing disorders. However, she agreed that this was not required by law. She also credibly testified, consistent with her report, concerning “bottom up” auditory processing skills which are auditory decoding skills. An auditory decoding refers to the ability to extract and process acoustic information at the proper rate from an ongoing stream of speech. An auditory decoding deficit is characterized by inefficiency in analyzing acoustic cues, like speech, according to their temporal and spectral characteristics. 35. Dr. Abramson conducted a complete audiologial evaluation of Student and issued a report on December 20, 2004 (Abramson Audiology Report). Student was 17 years old at that time. The report noted information provided by Mother that Student had sustained brain damage to the frontal lobe at birth. The report further noted that frontal lobe damage can express itself with difficulty in organizing and executing school assignments. The report established that Student’s overall auditory skills ranged from the low end of the normal range to below age level expectancy. His Central auditory development was delayed, which provided a neurologic basis for language processing weakness, and slow processing. Student’s “bottom up” auditory processing skills were on the border of low end of the normal range to delayed. Student’s test scores showed he had poor decoding skills which can adversely affect receptive language, phonemic awareness, reading and spelling skills. The report confirmed Student’s auditory processing disorder. The report mentioned that since a previous SCAN-A evaluation in 2001 there was evidence of some growth or improvement. However, because Student’s central auditory development was delayed his prognosis for complete auditory skill recovery through therapeutic intervention was limited. Provide preferential seating and a quiet learning environment where possible. 37. Dr. Abramson also recommended a re-evaluation in one year to monitor Student’s growth and development. However, District did not request a re-evaluation one year later. 4 The BAT program was a one-to-one therapy where a student with auditory processing deficits is provided a series of tones or stimuli to which he responds. Dr. Abramson indicated the therapy was delivered in 20 minute increments to a student and had proven successful in improving auditory processing skills of some students. 38. Despite the implementation of accommodations and supports, Student did not do well in his college prep classes at the conclusion of the fall 2004 semester. Student received a modified grade of “D-” in both Biology and English II; and failed Geometry and World History. He scored an overall academic grade point average (AGPA) of 1.5. 39. District ordered a literacy assessment to assess Student’s decoding skills in the areas of phonemic awareness. The assessment was conducted on January 19, 2005. Student was assessed by Susan Maas (Ms. Maas). Ms. Maas was employed as District’s literacy specialist for five years. In that role she provided assistance to RSP teachers and SDC teachers working with students in the areas of reading comprehension, decoding and processing skills, and mathematics intervention. She also has a certificate in training methodologies from the Lindamood-Bell Institute. Ms. Maas administered the Lindamood-Bell Auditory Conceptualization Test (LAC-3) and the Symbol Imagery Test to examine Student’s visual symbol imagery skills. Student received a standard score of 94 on the LAC3, and a score of 28/50 on the Symbol Imagery Test. Ms. Maas credibly testified at hearing concerning the test results. She described the LAC-3 as a good indicator of a student’s ability to comprehend sounds. She determined based upon the test results that Student scored within the average range. Based upon her report and that of Dr. Abramson, and Ms. Ghan, the IEP team recommended implementation of Lindamood-Bell strategies in Student’s areas of weakness to be provided in an intensive literacy instruction programin the RSP class. The services were to be provided by a speech pathologist. The LAC-3 is only re administered if a student has not scored within the average range and there is a significant discrepancy between cognitive ability and test results, which did not apply to Student. She also testified that passing the California High School Exit Exam (CAHSEE) was a further indication that re administering the LAC-3 to Student was contraindicated. 40. District changed Student’s schedule in the Spring Semester effective January 31, 2005, by moving Student from Geometry to Algebra II/Geometry. 41. On February 4, 2005 a continuation of the December 8, 2004, annual review IEP team meeting was convened. As agreed, the purpose of the meeting was to review the recent assessments and discuss any additions to the IEP. Mother was present and participated in the IEP meeting. Mother waived the reading of the procedural safeguards provided by the District IEP administrator. The IEP team added another RSP class effective February 14, 2005 to replace Biology in order to provide Student time to complete his work assignments. Mother did not agree with the goals and objectives developed in the December 8, 2004, IEP and withdrew her consent. The meeting was continued to February 11, 2005 to complete the annual review. 42. The February 11, 2005 IEP team included Mother, Student’s Advocate Dr. Jill Hockenbury, Ms. Martinez, Ms. Maas, Mr. Gelsinger, James Blinn, District Program Specialist, Student’s Biology Teacher, and the IEP Administrator. The IEP noted that the team reviewed the assessments and discussed the Abramson Report and recommendations. Mother declined Dr. Abramson’s recommendation for Student’s participation in the BAT program, because she believed Student would not work with the program. Mother also informed the District IEP team members of her disagreement with District’s psychoeducational assessment, and requested funding of an independent evaluation (IEE) by Dr. Robin Morris. The IEP team recommended the Lindamood-Bell visualization and verbalization program (VV) to be provided in his weekly speech and language session. A goal was written to provide for the VV program. Mother consented to the services offered in the IEP, but did not consent to the goals and objectives. The IEP team discussed Student’s continued poor performance in Biology and again requested Student level down to Human Biology. Mother persisted in her objection to leveling down. Mother believed Student could be successful with supports and services. She also believed leveling down would impair Student’s self esteem. Mother stated that she hired a tutor in Biology who worked with Student at home. 43. On March 5, 2005. Student took the CAHSEE Student scored 375 in Math and 374 in English Language Arts and passed. The CAHSEE was administered to ensure that students graduating from California high schools actually possessed the minimum proficiency in core academic skills needed to thrive in an economically competitive society. Student’s passage of the English Language Arts portion demonstrated that he had literacy skills and no significant weakness in his reading comprehension skills. Student’s scores established that he possessed the minimum proficiency in Mathematics and English Language Arts and met one of the prerequisites to high school graduation. 44. On April 6, 2005, an IEP team meeting was convened to review Student’s placement, to discuss Student’s continuing difficulties in his college prep courses, and to address issues left unresolved in the February 11, 2005, IEP meeting. The meeting was attended by all of Student’s general education teachers, his RSP teacher and case carrier Ms. Martinez, Ms. Ghan, Mr. Gelsinger, Mr. Blinn, District’s Compliance Officer Barbara Smith (Ms. Smith) and District’s Attorney. Mother was given notice but did not attend. The IEP team expressed concern over their observations of Student’s increased stress and anxiety over the demands of his curriculum. The consensus of the District staff was that despite the numerous accommodations and modifications to the academic curriculum, to date, Student’s difficulties in completing the rigorous requirements of Algebra II/Geometry adversely impacted his other classes, including English and World History. The IEP team members present concluded that Student could not complete the minimum requirements in Algebra II/Geometry and Biology and would not meet minimum high school graduation requirements. 45. The IEP team drafted a new IEP offer to change Student’s current courses to allow Student to transfer from Algebra II/Geometry to Personal Finance, a non college prep course, for the remainder of the spring semester without academic consequences. The IEP offer further proposed to transfer Student from Biology and replace the class with an additional RSP course, without any academic consequences. It was believed the additional RSP would provide additional support to Student to complete academic requirements within his other classes. The offer included an independent educational evaluation funded by District for a social/emotional assessment. District notified Mother of the new IEP offer in writing on April 12, 2005. Mother did not consent to the offer. 46. On June 13, 2005, the annual review IEP team meeting was convened. The IEP team discussed the same issues and concerns raised during the school year. The IEP offer for the 2005-2006 school year offered continued placement in general education classes with group instruction and monitoring three times per week. Student’s classes would be 1. Algebra I or Personal Finance; 2. Collaborative English; 3. United States History; 4. Astronomy required for graduation; and 5. Drawing and Painting class to complete fine arts graduation requirement; The IEP also offered two RSP classes in the special education classroom- an RSP Resource class at end of the day; and an additional RSP Resource class. DIS speech and language services, individual and group direct instruction, were offered once per week for 30 minutes. The IEP offered additional accommodations, supplementary aids, and recommendations including for Student to attend summer school to retake first semester World History. Mother attended but did not consent to the IEP. 47. The June 13, 2005 IEP also contained an ITP which identified Student’s post- secondary transition needs and services. 48. At the conclusion of the spring semester for the 2004-2005 school year Student received a “D-” in English II and World History. He failed Algebra II/Geometry. He was removed from Biology and was not graded. Student’s transcripts show that Student took World History in summer school and received a “D” grade. 50. The 2005-2006 school year commenced August 23, 2005. Student was now in the eleventh grade. Before the start of the school year, Mother made numerous requests to change Student’s class schedule prior to the beginning of the school year. Student’s class schedule was changed approximately three times in response to Mother’s requests. Mother wanted Student to take Algebra II and a Web Design class. Student’s revised class schedule included classes in Web Design, English, World History, Algebra/Geometry, Art, Astronomy, and a zero period resource specialist program. 51. On September 8, 2005, Student’s teachers in the newly revised class schedule, RSP teacher Craig Hanson (Mr. Hanson), Steve Gelsinger, school Psychologist all met to review the Student’s IEPs and to discuss the class schedule. An IEP team meeting was held on September 9, 2005 to review Student’s program offered in June 2005, with the addenda from subsequent discussions with Mother. Mother waived the reading of the parent procedural safeguards provided by the District IEP administrator. Mother requested that District provide a credentialed special education teacher to provide additional assistance to Student in his general education curriculum. Mother also requested additional assessments be conducted in various areas including occupational therapy. The IEP offer was essentially the same as the June 2005 annual review IEP, as modified by the subsequent schedule changes. In addition, the IEP team agreed to further accommodations and supports requiring Student’s teachers to check his daily planner, provide him with copies of class notes, post the homework assignments and Student’s grades on the school’s web site, and to notify Mother when Student failed to turn in three or more assignments in any class. Mother continued to disagree with the offer of an additional RSP resource class and did not consent to this IEP. 53. A follow-up IEP team meeting was held on September 26, 2005 to formalize the IEP offer as modified on September 9, 2005 including new goals and objectives drafted and presented at this meeting. Mother did not consent to the IEP. 54. Student’s fall class schedule was Drawing/Painting 1A, Direct Resource IIIA, United States History (P), English III (P), Astronomy, Algebra II/Geometry A, Web Design, and ROP/Intermediate Composition Group A. He had a course load of eight classes including two college prep courses. 55. On December 12, 2005, Mother filed a compliance complaint with the California Department of Education (CDE). Mother alleged, among several things, that Student continued to do poorly in World History because Student’s World History summer school teacher was not informed of Student’s IEP and that the IEP had modifications which caused Student’s failure to complete the class, in violation of the IDEA. 56. On December 16, 2005, District notified Mother of the annual review IEP team meeting scheduled to take place on January 5, 2006. The notice informed Mother the meeting was scheduled to evaluate Student’s placement based upon his school record and performance. At IEP team meeting on January 5, 2006 the IEP team members in attendance included Student, Mother, Step Father, all of Student’s teachers, District’s Compliance Officer Barbara Smith, (Ms. Smith), Mr. Gelsinger, Ms. Ghan, the principal, and an assistant principal. Mother waived the reading of the procedural safeguards provided by the District IEP administrator. District advised Student that educational rights transferred to him as he was 18 years of age. Mother presented the IEP team with a General Power of Attorney signed by Student transferring his educational rights to Mother. Each of Student’s teachers reviewed his present levels of performance. Dr. Abramson attended telephonically and provided a summary of her December 2004, evaluation and recommendations. The time was extended to hold the annual review and the IEP team meeting took place on January 13, 2006. 57. The January 13, 2006 IEP team meeting was attended by Ms. Martinez, Ms. Ghan, an occupational therapist, IEP administrator, Assistant Principal Ken Ezratty (Mr. Ezratty), Mr. Gelsinger, and District’s Attorney. Student did not attend the meeting. Mother and Step Father appeared for the meeting but left before the meeting commenced. As of the time of the IEP team meeting District’s records indicated Student was failing Dir Resource IIIA, received a “C” in U.S. History (P), a “D” in English III (P), “D+” in Astronomy, “D-”in Algebra II/Geometry A, “C+” in Web Design. No grades were reported for ROP/Intermediate Composition Group A or Drawing/Painting 1A. The IEP team reviewed Student’s areas of need, Present levels, goals and objectives, and DIS services. The IEP noted that Student was progressing toward graduation, but had to repeat and pass the second semester of World History, which was a prerequisite to graduation. The meeting was continued to March 9, 2006 to review the results of an occupational therapy assessment. 58. Mother and Step Father attended the March 9, 2006 IEP continuation meeting for the OT assessment results. The OT assessment results were discussed and the OT evaluator determined that OT services were not recommended for Student. 59. On April 5, 2006, District held an addendum IEP team meeting to revise the January 13, 2006, IEP. Mother and Step Father attended the meeting. Ms. Smith, attended for District. Mother waived the reading of the parent procedural safeguards provided by the District IEP administrator. The addendum IEP offered additional program modifications, supplementary aids, and accommodations as follows: 1. preferential seating away from distractions; 2. multi-modality instruction; 3. a paper copy of lecture notes will be given to Student within one day of being presented; 4. seven days or more extended time on tests, and quizzes; 5. extended time to complete assignments/homework; 6. Use of a calculator; 7. Use of “bulleting” or tape recorder for short answer/essay questions in all classes other than English; 8. Student provided an extra set of books for home use; 9. Reminder by teachers to Student to record his assignments daily; 10. Provision of a tape recorder to enable Student to tape class lectures; 11. Teachers would modify or adapt assignments, as appropriate within standards of the class. 60. The IEP addendum further noted that Mother would sign an assessment plan by June 10, 2006, for Ms. Abramson to update Student’s audiology assessment. Prior to the third week of the 2006-2007 school year District would convene an IEP meeting to review the audiology report and as needed, amend Student’s IEP. 61. The IEP addendum also provided that Student would enroll in a Literacy class as an elective, for the fall semester of the 2006-2007 school year. A portion of the class time would also be utilized for Student to work on daily exercises for the BAT program, as appropriate. The curriculum and instruction of the class would be designed to assist Student with his reading comprehension. The program would be reviewed and discussed in the IEP team meeting to be scheduled when the audiology report was to be reviewed. Mother consented to the IEP. 62. On April 5, 2006 District and Student settled claims arising out of a due process request filed by Student in 2005. The Settlement Agreement settled all claims of Student up to and including the date of execution of the Agreement. 63. In March 2006, CDE found District was out of compliance in response to Mother’s compliance complaint, because District failed to meet the requirements of 34 CFR part 300.342(a)(3)5 by insuring that Student’s 2005 summer school teacher was knowledgeable of the contents of Student’s IEPs. CDE ordered District develop a corrective action plan. Specifically District was required by April 30, 2006, to provide evidence of a proposed plan to Mother for the student’s completion of World History through alternative means that would not require Student to re-take the class during the school day. CDE instructed District that acceptable evidence of compliance would include: (a) a copy of correspondence sent to Mother outlining the components of the plan, (b) a delivery service tracking receipt indicating delivery of the correspondence by March 30, 2006, and (c) Mother’s signature on the correspondence indicating agreement or disagreement to the plan. 64. District developed a proposed corrective action plan. The plan provided for Student to make-up his failing grade in the first semester of World History by enrolling in and successfully completing District’s Adult School’s independent study course entitled “World History, Geography, and Cultures 1A.” to be taken outside of Student’s regular school day. The plan further proposed that Student enroll as soon as possible to permit him time up to and during the 2006-2007 school year to work on and successfully complete the course’s 12 units of instruction and graduate on time in June 2007. The proposed plan provided that all textbooks, instructional materials, maps and tests would be provided to Student at his reading level. He would have access to the independent study teacher at the school library after school for 30 minutes a week. The same would apply if Student elected to work on completing the course during the summer except that an independent study teacher would be made available to work with him by appointment. Student was also given the option to elect to seek additional assistance from his RSP teacher during the school day by working on completing the course materials, as time permitted in his RSP class, and/or in the RSP classroom during the tutorial period. 65. On March 21, 2006, Ms. Smith mailed the proposed corrective action plan to Mother and requested a response by March 29, 2006. Mother replied to Ms. Smith and rejected the proposed corrective action plan because it required Student to pursue independent study which Mother believed he could not do with out the necessary support services. Mother also rejected the plan because she believed it required Student to pursue course completion during the school day in the RSP resource class. At hearing, Ms. Smith explained that she responded to Mother by telephone in early April and urged Mother to reconsider her position. Ms. Smith testified that she offered to have Student meet more frequently during the week with the independent study teacher. She believed that Mother told her on the second contact that she would accept the plan and have Student enroll. 66. On April 20, 2006, Ms. Smith provided notice of District’s corrective action plan to CDE and informed CDE that she understood Mother to say she would accept the plan. However, on May 10, 2006, Mother rejected the plan. Mother filed a request for reconsideration which was denied by CDE as untimely. CDE accepted District’s evidence of completion of the corrective action plan and the case was closed on May 15, 2006. 67. At hearing Dawn Lewis credibly testified that she developed the plan to assist Student’s completion of the World History class. Mother and Student agreed to work with the plan. Ms Lewis was a general education teacher with a single subject credential and a Masters Degree in English. She credibly testified that she had previously worked with Student in a reading workshop in the fall and spring semesters of his freshman year at ANHS. She also worked with Student in his senior year in the literacy class and provided support in reading and writing for all of Student’s classes with the exception of his Mathematics class. The focus of the literacy class was on building Student’s comprehension, phonemic, decoding strategies, and reading skills. She further testified that she helped Student complete his World History requirement as ordered by the CDE, which resulted in his passing the class in the spring semester of 2007. 69. District convened an addendum IEP meeting on September 1, 2006. The meeting was requested by Mr. Ezratty to discuss Student’s scheduled classes for the 20062007 school year, in view of the January 13, 2006, IEP and April 5, 2006, addendum IEP to which Mother consented, as well as the new course offerings in the fall semester class schedule. The meeting was attended by Mother and Student, Mr. Hanson who became Student’s new RSP teacher, Ms. Ghan, Ms. Lewis, Mr. Gelsinger, Student’s academic advisor Vicki Hecht (Ms. Hecht), Leisa Winston (Ms. Winston) Program Specialist, Student’s English teacher, and an administrator. Mr. Ezratty provided a copy of the procedural safeguards to Mother. The IEP team discussed District’s offer of Direct Resource IVA, Economics (P), Auto Mechanics, Creative Writing ACC (accelerated class) (P), Algebra II/Geometry B, and Intensive Literacy Support for the fall semester. The IEP noted that Mother was under the impression that auditory assessment should occur before entering the literacy class. The IEP further noted Mother was dissatisfied with the offer of accelerated creative writing as she questioned whether Student had the required skill level to be successful in such a class and Student preferred to take Intermediate Composition. The IEP team also discussed the options offered in the corrective action plan to permit Student to complete his World History class requirements. With the exception of a collaborative Economics class and Government class, Mother did not agree with or consent to the proposed changes in Student’s fall schedule. 70. Student’s fall semester schedule included the following classes: Direct Resource IVA, Economics (P), Auto Mechanics, Creative Writing ACC (P), Algebra II/Geometry B, and Intensive Literacy Support. Student had earned 175 high school credits of 220 credits needed to graduate. 71. District convened an addendum IEP meeting on November 1, 2006 at Mother’s request and to prepare an assessment plan in preparation for the December 13, 2006, triennial IEP. In attendance were Mother and Student, Psychologist Gelsinger, Ms. Ghan, Ms. Hecht, Mr. Hanson, Ms. Winston, and general education teachers Ms. Lewis, Ms. Bennett, and Greg Pearman. Mother waived the reading of the procedural safeguards. Mother expressed concerns about Student’s understanding of communication abilities in the vocational arena and wanted teacher support in that area. The IEP team members discussed Student’s progress in English and Algebra II/Geometry. Student was doing well in English but was struggling with math concepts. The IEP noted that the teachers were concerned that Student often came to class tired and battled fatigue throughout his school day. The IEP team also discussed the upcoming triennial assessments. The IEP noted Student expressed interest in cognitive, academic, vocational assessments, and a vision/hearing screening. 72. Ms. Martinez prepared the IEP Assessment Plan dated November 1, 2006. The plan document described the areas to be assessed and the qualified professionals conducting the assessments. The plan proposed to conduct academic, intellectual development, career/vocational, and health assessments. Mr. Gelsinger and Mr. Hanson were designated to conduct the academic, intellectual development and career/vocational assessments, and District Nurse was to conduct the health assessment. The plan also noted that Mother asked some questions about Student’s oral comprehension. Mother signed the plan on November 1, 2006. Mother testified that she believed the plan provided for and identified a speech and language assessment. There was no notation or designation on the plan document for a speech and language assessment. Nor did Mother ask for one. Mother did not ask for a Lindamood-Bell assessment or an audiology assessment. 73. Mr. Gelsinger and Mr. Hanson conducted a psychoeducational evaluation that addressed the academic and intellectual development assessments identified in the assessment plan. Mr. Gelsinger included a vocational assessment. The assessment was conducted November 15, 2006, November 20, 2006 and December 11, 2006. The assessment included review of records, observations, Student interview, and administration of standardized tests. Mr. Gelsinger issued the Psychoeducational Assessment Documentation report, which is undated. 74. Mr. Gelsinger administered the Wechsler Adult Intelligence Scale III (WAIS-III). The assessment results established Student’s verbal IQ was 101. His performance score was 98 and full scale score 100. His verbal comprehension score was 109, which exceeded 73 percent of his age-level peers; perceptual organization was 105, which placed him in the 63rd percentile; working memory was 88, placing him in the 21st percentile; and processing speed was 84, placing him in the 14th percentile. The report noted Student’s current level of general intellectual ability was in the Average range, exceeding that of approximately 50 percent of his age-level peers. His ability to solve problems using language (verbal comprehension) and his ability to think and solve problems using visual perceptual-spatial abilities (perceptual organization) were both in the average range and were relative strengths. But his working memory (verbal) and processing speed (visual) were weaker and fell within the low average range. Compared with Student’s performance on the WISC IV in the 2004 triennial psychoeducational assessment, these scores represented a slight increase in all areas of cognitive ability. The current scores were similar to the previous scores in terms of Student’s strengths and weaknesses. 75. Mr. Hanson administered the WJ-III. Student received standard scores of 81 in Broad Reading, 88 in Broad Math, 85 in Broad Written Language, or low average range, and 94 in Math Calculation Skills, and 90 in Written Expression, in the average range. Student received a standard score of 79 in Reading Fluency and 71 in Math Fluency, or in the borderline range. His spelling score of 82 fell in the low average range. The test scores indicated that Student’s decoding and reading comprehension skills were within the low average range, which exceeded approximately 19 percent and 10 percent of his age-level peers, respectively. Student’s reading fluency remained weaker and presented a particular problem with reading speed. Student exceeded only 8 percent of his age-level peers in reading fluency. Student’s math skills ranged from strong for calculation to weak for processing speed. The results of the WJ-III also established that Student’s written language skills fell within the average range, but his spelling skills remained relatively week as Student exceeded 12 percent of his age-level peers. 76. Both Mr. Gelsinger and Mr. Hanson conducted the career/vocational assessment and included the results in the psychoeducational report. Gelsinger chose to administer the Career Decision Making System-Revised (CDM-R) to Student. The CDM-R is a questionnaire used to evaluate and discuss career interests. It was designed to assist students in clarifying their career interests and associated educational and ability requirements. The assessment consists of an interview and a written portion. The assessment established Student’s areas of greatest interest were in the areas of Science and Art. In the scientific domain Student identified job titles of Web Site Developer; Animal Scientist; or Chemist. In the Arts domain Student identified job titles of Poet; Film Editor; Painter; Animator; and Radio/TV Program Director. The assessment noted Student currently held a job at a local supermarket where he had been employed for some time with hours ranging from nearly full-time to part-time. The report also noted Student had recently taken an orientation tour of Saddleback Community College and he planned on enrolling in a community college and continuing on to a four-year school thereafter. 77. Mr. Gelsinger concluded that overall, the test results were consistent with the 2004 triennial assessment test results. He notes that Student had average general intellectual ability with cognitive processing weaknesses in working memory and processing speed. He had intellectual strengths in verbal comprehension and perceptual organizational skills. Student continued to demonstrate a severe discrepancy between his ability and academic achievement in reading comprehension. As previously concluded Student’s processing speed remained a weakness when performing academic tasks. Regarding the career/vocational assessment Mr. Gelsinger concluded Student was interested in several vocational areas, had vocational experience, and had a plan for his post-secondary education. The report contained no specific recommendations other than the IEP team should consider the test results when addressing continued eligibility for special education. 78. The Triennial IEP team meeting was held on December 13, 2006 to review the assessments, discuss new goals and objectives, and Student’s progress toward graduation. The IEP team members in attendance included Mother, Student, Mr. Gelsinger, Ms. Winston, Mr. Hanson, Ms. Bennett, Ms. Hecht, Student’s special education teacher, and a general education teacher, and an IEP administrator. The Procedural Safeguards were reviewed with Mother. Mother signed the section of the IEP requiring acknowledgement of receipt of the procedural safeguards. The IEP team reviewed the assessments and concluded that Student remained eligible for special education services under the disability category of SLD. The IEP noted that Student’s vision was corrected with glasses and his hearing in both ears was within passing range. Student’s general education teachers reported on Student’s improved progress and noted that Student still appeared fatigued in class and often slept during class. The IEP team also discussed Student’s need to make up the missing work for World History in order to raise his failing grade to passing to meet graduation requirements. The IEP also discussed Student’s schedule for the spring semester. The IEP team agreed upon Intermediate Composition, Intensive Literacy Support, PE, Collaborative American Government, Algebra II, and a Resource class. 79. The IEP team reported that Student had met some of his goals in self advocacy and problem solving and set new goals and objectives in all areas of need including speech and language, reading, writing, study skills and transition. The IEP offer increased Speech and language services to two 25 minute sessions per week; Resource services collaboration in English and Economics until the end of the fall semester, and American Government beginning in the spring semester once per week for 50 minutes. An additional Resource Specialist Program was offered once per week for 50 minutes and twice per week for 101 minutes. Mother consented to the IEP. 80. The transition goal contained in the IEP identified Student’s transition needs stating that Student would benefit from transition goals in the areas of career, education, and community. The goal summary indicated that Student needed to continue to explore and discuss registration procedures at local community colleges, such as Saddleback College. The document further indicated that Student would benefit from this transition goal because he is a senior who needed transition goals to ensure successful High School completion and exploration of secondary options. The IEP identified as Student’s strength the fact that he had a job currently at a supermarket, and had attended the senior trip to Saddleback College to explore and get introduced to their programs. Goals were established in career, education, and self-advocacy. An ITP was included in the triennial IEP as a separate document that repeated the information set forth on the transition goal section of the IEP. Mr. Gelsinger, Mr. Ezratty and Mr. Hanson credibly testified that very little was needed to prepare Student’s transition goals as he had already shown his job skills by holding employment at a supermarket throughout most of high school, had a drivers license, an ATM card, and a bank account. They testified these were indicators that Student had developed adequate independent living skills that prepared him for transition to adult life. 81. Student passed all of his fall semester courses. He received a “B” in Direct Resource IVA, “B+” in Intensive Literacy Support, “B+” in Consumer Auto Mechanic, “C” in Creative Writing (P), and Economics (P), and a “C” in non-college prep Algebra 2with/Geometry B. 83. On February 1, 2007, Mr. Hanson prepared a progress report summarizing Student’s progress toward IEP goals and a Summary of the Student’s Academic Achievement and Functional Performance. According to the report Student had made progress toward all goals and was on track for high school graduation, except for his career goal because Student had not worked on the goal. No other action toward completion of Student’s career goal was noted or recommended. 84. As of February 21, 2007, Student had completed 205 credits of the 220 required for graduation. Student was taking 30 credits. According to Mr. Gelsinger and Mr. Hanson, Student became overwhelmed with his work load in the spring semester of the senior year. In March 2007 and May 2007 Mr. Ezratty, Assistant Principal, Guidance for District, notified Mother in writing that according to the Spring semester progress reports Student was failing American Government and was in danger of failing Algerbra 2/Geometry B, and Intermediate Composition. Mother was instructed to contact Ms. Hecht, who also served as Student’s Academic Advisor, for assistance in developing a plan for his success in those classes and for meeting graduation requirements. 85. 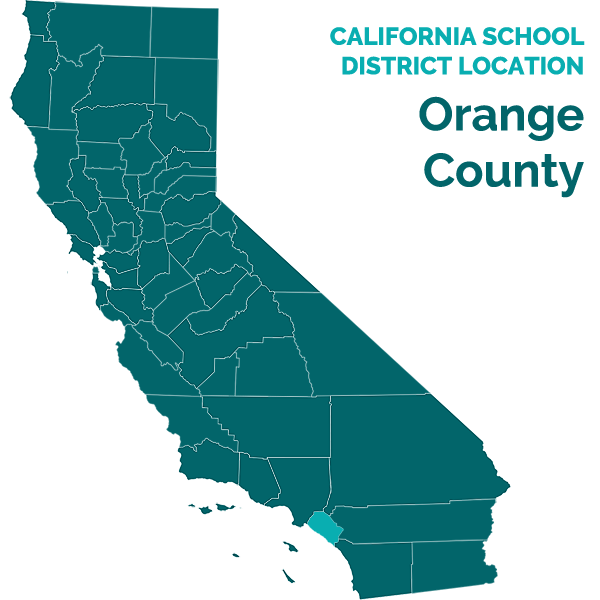 Mother testified that she believed District was only interested in Student attaining sufficient credits to graduate and was not interested in his post-secondary college requirements or career goals. Mother met with Ms. Hecht who informed her that Student would not qualify for a UC school because he had not taken the required college prep classes and had not earned the required overall grade point average. 86. As an Academic Advisor, Ms. Hecht was responsible for meeting with students for the purpose of planning class schedules and courses up to graduation and postsecondary plans. Ms. Hecht was also had the responsibility, and to advise and assist students in application to college, and recommendations for college placement and to advise the appropriateness of class choices. She did not meet with Student. Ms. Hecht was aware of Student’s disability as she had attended a number of his IEPs. She did not speak with his teachers other than his RSP Mr. Hanson about the appropriate classes for Student. She was aware that Student did not meet the requirements for admission to a UC school. She testified that Student was eligible for attendance at a community college. Fifty to sixty percent of the graduates in the class of 2006-2007 attended community college. The community colleges offered early registration services to special education students. The community colleges also required entering Students to take a matriculation test for placement in reading, English, Mathematics, to determine skill level and class placement. Failure of the test required placement in a remedial class. She testified that the requirements for a UC school covered four years of mathematics which included one year of Algebra, Geometry and Algebra 2, Biological Science, Physical Science, and two years of World Language. All college prep class grades must be a “C” or better and a “D” was unacceptable. Students were also required to take the Scholastic Aptitude Test (SAT) or the ACT, which was a subject-based mathematics, science, and reading test. The UC schools and CSU required a minimum 3.0 and a minimum 2.0 academic grade point average, respectively for college admission. She did not speak to Student individually about these requirements. 87. District convened Student’s exit IEP on June 17, 2007. The purpose of the meeting was to discuss Student’s exit from special education in anticipation of high school graduation scheduled for June 21, 2007. Mother and Student were given advance notice of the meeting and its purpose. Student had just taken his final exams and his final grades had not been issued. The meeting was attended by Mother and Student, Mr. Ezratty, Mr. Hanson, Ms. Ghan, and a general education teacher. Mother waived the reading of the procedural safeguards. 88. Mr. Ezratty presented Student and Mother with an exit summary of his performance. District informed Mother and Student that Student met State standards for graduation and was scheduled to graduate on June 21, 2007. Mother and Student were further informed that Student would no longer be eligible for special education services. Accordingly, the meeting was not intended as a review of Student’s IEP goals and objectives. The exit IEP document provided a clear explanation of the matters to be discussed. Mother consented to the IEP document. 89. At hearing Mother testified that she informed the IEP team members that she was dissatisfied with the transition plan and that Student had no post-secondary focus or goals. However, she consented to the IEP because she believed that District would not allow Student to graduate if she did not consent. 90. Mother testified that the June 19, 2007 exit IEP was devoid of any discussion of Students IEP goals and objectives. There was no way to gauge what goals he met and progress was made leading to his graduation. The District had not even graded Student’s final examinations so there was no indication he was passing and in fact graduating from High School. She believed that District failed to properly support and develop Student’s transition goals and Student lacked focus as to his post-secondary plans. She believed Student suffered a grave loss of educational opportunity. Mother believed that Student would not likely be able to live on his own as an adult. 91. Student ultimately passed all of his classes and graduated on June 21, 2007. He had a cumulative AGPA of 2.35 and graduated number 614 out of a class of 717. Student testified that he attended the college tour at Saddleback College. He was not directed to speak with anyone individually to take advantage of the early registration afforded to special needs students, nor was he directed to any counselors or contacts. The tour was attended by several schools who presented information to students. Student was working at a supermarket all through high school but had career goals in computers and art. He started an anime club in his freshman year, which became popular and successful on campus. The club was later called the Japanese Culture club. He had just received his driver’s license in March 2007 with his Mother’s help. He did not take the SAT because he did not want to be laughed at when he failed, and did not try to enroll in a four-year college, because his grades were not good enough and he had no money. He worked for a period of time following high school graduation before entering college, but lost his job last summer. He will stay in a community college and transfer to a four year college on graduating. His ultimate goal is to move away from his Mother’s home and achieve independence. He believes that he needs counseling and training to help him move toward his goals. Student presented as a very credible witness. He was soft spoken and responded to questions in a tentative manner. He often asked for repetition of the questions and on occasion did not answer a question he did not understand. 92. Student enrolled in Irvine Valley College in 2008 and has not done well there. Student’s transcript for the fall semester of 2008, established that he enrolled in Intro to Art Theory, Biology/Human Sexuality, Psychic Reasoning, Intro to Sociology, for a total of 12 credits. He received a “C” in Art, and Human Sexuality, a “D” in Psychic Reasoning and failed introduction to sociology and earned a GPA of 1.25. He testified that he tried to convince his teacher to let him withdraw from sociology rather than receive a failing grade. In the spring semester of 2009 he enrolled in Reading for Success, Reading Laboratory, Elementary Algebra, and Cellular Biology. As of the date of his testimony he had withdrawn from Cellular Biology, Elementary Algebra, and Reading for Success. 93. Roberta Ross (Ms. Ross) was offered by Student as his expert on transition plan requirements. Ms. Ross previously held positions in counseling of disabled persons, as a social worker, and in transition program planning with the CDE. Though she testified that Student’s ITP in the December 2006 triennial IEP was deficient very little weight is given to her testimony. She had been retired for eight years from the field of education, was not current on the law regarding current requirements for transition plans. Issue One: Allegations that relate to events prior to December 18, 2006 are barred by the statute of limitations. 2. In his complaint, Student made numerous allegations relating to events prior to December 18, 2006, two years prior to the date Student filed the complaint. These allegations were: (1) District failed to timely conduct triennial evaluations and assess Student in all areas of suspected disability; (2) District failed to implement certain provisions of the April 5, 2006 settlement agreement which required District to conduct an audiology assessment, a literacy assessment, and implement the BAT program to Student as agreed in the April 5, 2006, addendum IEP, which denied Student a FAPE; (3) District failed to properly and timely evaluate Student’s unique needs and denied Student a FAPE; (4) District employees misled investigators from the CDE when they investigated Student’s complaints made against District in November 2005; (5) District failed to provide due process safeguards to Student’s IEPs; (6) District failed to propose a plan to allow Student to complete his World History course requirements; (7) District failed to support a transition plan that supported Student’s objective to attend college; (8) District failed to provide Student the necessary supports, modifications, and accommodations to assist Student in his classes; and (9) District failed to make resource help available to Student in various college prep classes. Student asserts that an exception to the statute of limitations applies. Specifically, Student contends that the District prevented him from filing for a due process hearing prior to December 18, 2008 because the District made specific misrepresentations that it had solved the problem forming the basis of the due process hearing request. 3. District contends that no exception applies, such that Student may only raise claims dating back to December 18, 2006. Specifically, District contends that Student failed to present any evidence of a misrepresentation by District that prevented him from timely filing a due process complaint. 5. Here, there is no evidence that District acted in any way to prevent Student from timely filing a due process complaint. As to Student’s claims that arose prior to December 18, 2006, those claims are time barred because a claim accrues for purposes of the statute of limitations when a parent learns of the injury that is a basis for the action, i.e., when the parent knows that the education provided is inadequate. Here, Mother was inextricably involved in the day-to-day issues of Student’s education from the time he transferred to District until his high school graduation and was immediately aware of, and raised numerous issues to District regarding dissatisfaction with Student’s programs. Student produced no evidence that would support a waiver of the statute of limitations regarding his claims. 7. Student’s first contention regarding the 2006-2007 school year is that he was denied a FAPE because the District failed to assess him in all areas of suspected disability. In particular, Student contends that an additional audiology assessment and Lindamood-Bell assessment should have been conducted. As discussed in Issue One, above, the statute of limitations bars consideration of issues prior to December 18, 2006. District contends that Student’s needs were appropriately assessed as of November of 2006 by the triennial assessments and that no further assessments were required. As discussed below, District is correct. 10. Here, Student had the burden of showing that a procedural violation occurred, i.e., that District should have assessed Student further during the time period at issue, and that as a result, Student was deprived of an educational benefit or Mother’s right to participate in the IEP process was impeded. 11. Student argues that Dr. Abramson’s December, 2004 assessment correctly diagnosed Student’s “bottom up” auditory processing disorder and that only an audiologist can diagnose an auditory processing disorder. According to Mother, this demonstrated that there was a need for a reassessment by Dr. Abramson. Student’s contention is not supported by the evidence. Dr. Abramson testified that in addition to audiologists, school psychologists and a speech pathologists were also commonly involved in the identification of auditory processing disorders. Although auditory processing disorders may only be diagnosed by an audiologist according to ASHA, Dr. Abramson conceded on cross-examination that ASHA’s position was not required by law. Mr. Gelsinger, and Ms. Ghan, all credibly testified that they conducted appropriate assessments by which they all determined that Student had a “bottom up” auditory processing disorder. Ms. Ghan further testified that there was no need to do an audiological reassessment because Mother had declined Dr. Abramson’s recommendation for the BAT program, thus there was nothing by which Dr. Abramson could measure Student’s progress in a new audiology assessment. Ms. Gahn and Mr. Gelsinger also testified that a there was no dispute concerning Student’s disability and unique needs, and that a reassessment would not provide any new information with regard to the disability. 12. Further, the evidence does not support Student’s contention that District should have conducted another Lindamood-Bell assessment after December 18, 2006. The unrefuted testimony of Ms. Ghan, Ms. Maas, Ms. Lewis, Ms. Martinez, and Mr. Gelsinger is that Mother did not request a Lindamood-Bell assessment at the triennial IEP on December 13, 2006. Instead, the evidence supports District’s contention that the reassessment was not necessary for the following reasons: (1) Student scored in the average range on the LAC-3 assessment conducted in 2005 establishing that he did not require intensive Lindamood-Bell services or a follow-up assessment; (2) Student passed the English Language Arts portion of the CAHSEE, which indicated that he met the California State proficiency standards in English; (3) The December 13, 2006 triennial IEP included review of the WJ-III, which was properly conducted and had identified Student’s unique needs in the area of reading. 13. Further, considering that comprehensive triennial assessments had been conducted in November and December 2006, Student failed to meet his burden of showing that any other assessments were required. 15. Student next contends that an IEP team meeting should have been held to discuss his lack of progress on goals. The District contends that at all relevant times Student received a FAPE. 17. Here, the goals and objectives established in the December, 2006 triennial IEP were reviewed and a progress report was issued in February 2007. Mr. Hanson prepared the report which addressed each of Student’s goals. The report was given to Mother and Student and provided notice to Student that he was making progress toward his IEP goals and toward graduation. The evidence did not support a finding that an IEP team meeting was required at the time Mr. Hanson prepared and provided Mother and Student the progress report. 19. Student contends that he was denied a FAPE because IEP team meeting procedures were not followed. In particular, Student contends that he was not given adequate notice of the IDEA’s procedural safeguards, that IEP meetings were not timely held and that the appropriate IEP team members were not present to discuss assessments. District contends that all IEP meetings were procedurally proper. As discussed in Issue One, Student’s claims regarding IEP team meetings prior to December 18, 2006 are barred by the two-year statute of limitations. Accordingly, resolution of this issue is limited to the exit IEP team meeting held on June 19, 2007. As discussed below, the June 19, 2007 exit IEP met all procedural requirements, such that Student was not denied a FAPE. 26. Here, the exit IEP team meeting of June 19, 2007, was the only IEP team meeting convened for Student after December 18, 2006. Mr. Ezratty credibly testified that the purpose of the IEP team meeting was to exit Student from special education services. Consistent with the purpose of the meeting, Student was presented with an exit summary of his performance. District properly noticed the IEP team meeting. Mother and Student attended and participated. District team members in attendance included Mr. Ezratty, Mr. Hanson, Ms. Ghan and one general education teacher. Given that the purpose of the meeting was to present the exit summary in light of Student’s imminent graduation after which he would no longer be eligible for special education, no additional personnel were required. 27. Finally, the evidence supports a finding that Mother and Student received a written statement of their rights and procedural safeguards under the IDEA and state law. Mother signed the IEP form acknowledging receipt of the Procedural Safeguards. 29. Student contends that he was denied a FAPE from December 18, 2006 through June of 2007 because the District failed to devise a plan for Student to complete his required World History class during the 2006-2007 school year pursuant to the CDE’s March of 2006 compliance order.6 In particular, Student contends that he was denied a FAPE because the District failed to develop a plan as ordered, and that as a result, Student was deprived of educational benefit because he was only able to complete the class using RSP services that were intended to meet his other needs. District contends it fully complied with CDE’s order and regardless, Student was provided with a FAPE. As discussed below, District is correct. 35. The evidence showed that the District fully complied with CDE’s order and developed an action plan that was approved by CDE. The plan that was approved by CDE did not require Student to take the class during the school day or use any services from Student’s IEP. Under the plan, Student could have completed World History through the Adult Learning Center on an independent study basis. Mother rejected the CDE-approved plan. In order to continue to provide Student with a FAPE, and help Student meet his graduation requirements, the District had no choice but to offer time to complete his World History credits during the school day. Student and Mother ultimately reached an agreement with District with the assistance of Vicki Hecht, Student’s Counselor to work independently with supports from Dawn Lewis, his intensive literacy instruction teacher. The credible testimonies of both Student and Ms. Lewis is that Student worked during RSP class for two weeks in the spring 2007 semester on the World History class materials during intensive literacy instruction. Student completed the World History assignment and was able to graduate from high school. Student received educational benefit in reading, as well as in passing World History because the World History make-up materials required Student to use his reading comprehension skills which were the objectives of the intensive literacy instruction class. Student did not present evidence that the small amount of RSP time used to assist him with World History deprived him of educational benefit in other areas. 37. Student generally contends that he was denied a FAPE because his IEP was not designed to meet his unique needs. In particular, Student contends that the District failed to provide adequate supports, accommodations and modifications in his general education classes. District contends that Student was provided with a FAPE at all times. 39. Here, Student had unique needs in oral reading, written language, organization, and completion of, and recording of assignments or note-taking, study skills, and self-advocacy. Student’s IEP met his unique needs by establishing measurable annual goals and objectives in his areas of need. In addition Student received speech and language services and was provided intensive literacy instruction and a variety of modifications, supports, and accommodations to his program. The evidence establishes that Student was supported at every level of his program. The evidence further establishes that although he struggled with a number of his academic classes, Student made substantial progress in some of his college prep classes and earned 240 credits, which exceeded the amount required for high school graduation. Student’s ability to pass the CAHSEE, make progress in his classes and on his IEP goals, and achieve a high school diploma that accorded with California standards demonstrated that Student derived some educational benefit from his IEP within the meaning of Rowley. 41. Student’s final contention is that he was denied a FAPE because his ITP was inadequate in how it was written and the goals and services in Student’s IEP were inadequate to implement it. Specifically, Student contends District failed to provide adequate supports to Student that would enable him to receive a “C” or better in World History that would qualify him for admission to a four-year college. Student also contends that the ITP in the December 13, 2006 IEP was inadequate because it failed to provide for development of employment, counseling, college prep, independent living skills, linkages with outside agencies, DIS services, and provision of contacts with the local post-secondary institutions. Student also contends that District failed to hold a meeting to discuss the transition plan, and held an inappropriate exit IEP on June 17, 2007, to exit him from special education, without addressing his goals, objectives or the ITP, thereby denying Student a FAPE. District contends that it provided Student a FAPE because Student’s ITP was properly drafted and implemented pursuant to Student’s IEP. District contends the law does not require District to convene transition plan meetings or an exit IEP prior to graduation. 43. Transition services may consist of specially designed instruction or a designated instruction and service. (34 C.F.R. § 300.43(b); Ed. Code, § 56345.1, subd. (b).) Where the transition services are to be provided by outside agencies, the outside participating agencies should be identified, and invited to any IEP meeting where their funding or provision of those services is involved. Rowley, supra, 458 U.S. at p. 202. 49. Here, Student failed to demonstrate that he was denied a FAPE either because the transition plan was not properly written or because the goals and services in his IEP were inappropriate to support the transition plan. First, the transition plan as written met the requirements of the IDEA. The ITP identified Student’s goal to attend college. The ITP outlined and identified Student’s needs in the areas of study skills, reading, written language, reading, self advocacy skills, and career. The goals in each area were restated in the ITP and took into account Student’s strengths in mathematic calculation. The ITP also highlighted Student’s interests and preferences identified in the vocational assessment, which included employment in the fields of Science and Art. The ITP further identified the areas of focus that were required to improve Student’s academic achievement. The ITP did not suggest employment as Student had indicated that his goal was to attend college and already had a part-time job. Nonetheless, the ITP provided for Student to prepare a career profile and a resume. Mr. Gelsinger, Mr. Ezratty and Mr. Hanson credibly testified that very little was needed to prepare Student’s transition goals as he had already shown his job skills by holding employment at a supermarket throughout most of high school, had a driver’s license, an ATM card and a bank account. They testified these were indicators that Student had developed adequate independent living skills that prepared him for transition to adult life. Student’s transition goal was to attend college. To further this goal, Student would need to make academic progress to the extent he was able in all subjects required for high school graduation, as well as college prep subjects. In sum, the ITP was properly drafted to further Student’s goal of attending college. 50. Regardless, Student failed to show that he was deprived of an educational benefit within the meaning of Rowley. Student’s operative IEP provided him a FAPE and facilitated the ITP. As discussed in Legal Conclusion 39, above, Student’s IEP established measurable annual goals in Student’s areas of need related to the transition plan goal of attending college. Specifically, Student’s IEP goals in oral reading, written language, organization, and completion of, and recording of assignments or note-taking, study skills, and self-advocacy, facilitated the ITP. Although transition plans are part of a “results oriented process,” the IDEA does not guarantee special education students a particular academic result. Instead, all that is required is that a student derives some educational benefit from a program that is designed to meet the student’s unique needs. Student received that as demonstrated by his continued progress on goals, passing the classes required for graduation and graduating high school with a regular diploma. 52. Because Student failed to meet his burden of proof by a preponderance of the evidence on all issues, he is not entitled to relief.